Open Concept designed walkout rambler on a beautiful lot that backs up to wetlands. 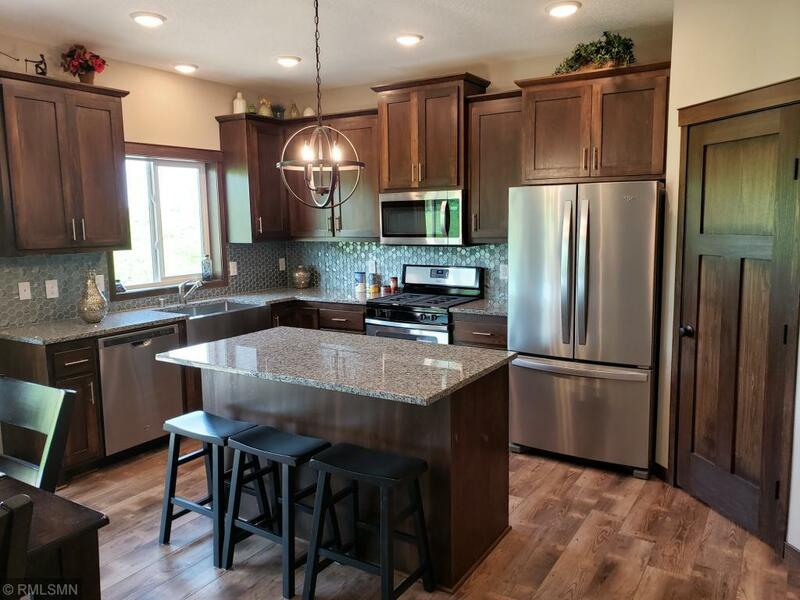 Custom Popal Cabinets with 42 inch uppers, Granite counter tops, Garbage/recycle bin in center island, Walk in pantry closet, Whirlpool SS kitchen appliances, recessed cans and a laminate floor. Separate laundry/mudroom with walk-in closet off the garage entry. Spacious Master BR Suite - Highlights Spa-Like bathroom Relaxing freestanding Soaker tub, Double sink vanity and Walk-in closet.